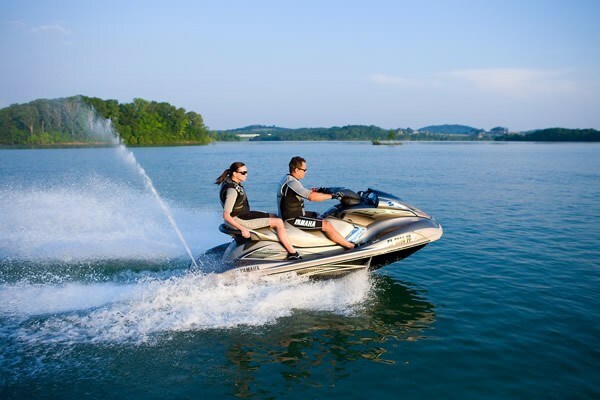 Yamaha's most popular personal watercraft, the FX, comes in four models for 2010. All four models share the same familiar FX hull, with slight changes in engines and body styling to reflect the four levels. The FX Cruiser HO has a 1.8 litre high output four-stroke engine, that well not quite as spirited as the SHO version, still has plenty of get up and go. Without the extra ponies, the FX Cruiser is more affordable and much more fuel efficient, yet comes together to provide a luxurious and exhilarating ride. Riding the watercraft through the slalom course setup by Yamaha, I was pleasantly surprised by the agility and control of this machine. Although it doesn't have the raw power of the FZR machine, it has plenty of power and good acceleration up to top speed of about 55 miles per hour. Changes for 2010 include a redesigned hull, which sits more bow high, and deflects spray away from operator. The changes are subtle until you put 2009 model side by side with 2010 model and the difference is quite visible. Riding through the modest chop on Lake Couchiching, the newer model was a much drier ride, one of the things Yamaha listened to their customers about and made improvements. The 2010 large comfortable seat has had some slight improvements to improve comfort and ride. Telescoping steering column allows for maximum rider comfort. Adjustable trim control allows rider to dial in the ride of the craft, just the way they want it. Engine features include a throttle by wire reverse system controls RPM in reverse for maximum thrust efficiency. A Cruise Assist feature, like a cruise control option, reduces throttle fatigue and can extend touring range. 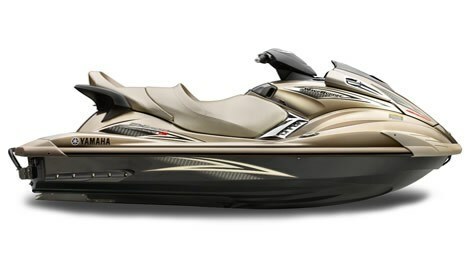 2010 FX models also feature a No Wake Mode, which sets engine speed to optimum low wake speed.